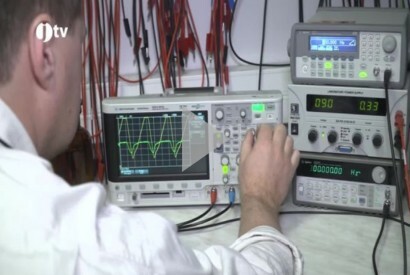 The surface & interface science is key focus of Laboratory of Applied Plasma Physics. We research and develop nanostructured functional surfaces grown by means of low-temperature plasma. We also perform basic research of nanoparticles grown from gas phase as a key stones for nanostructure engineering. We use unique properties of matter at the nanoscale for (bio)medical, (bio)chemical, (bio)sensing or technological applications. Welcome! Our interdisciplinary research boarders low‑temperature plasma, bio‑chemistry and interface physics with primary focus on bio‑applications and high‑tech materials of high added value. We are looking forward to start new cooperation/collaboration as well as seeking for young and motivated people who wants to push the borders of science and engineering. Our member Mgr. 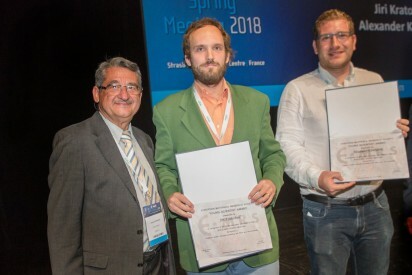 Jiří Kratochvíl (in the middle) was awarded the "Young Scientist Award" for his excellent lecture "Antibacterial Thin Films with the Release of Antibacterial Substances" at the Spring EMRS 2018 in Strasbourg, France. Our member Mgr. 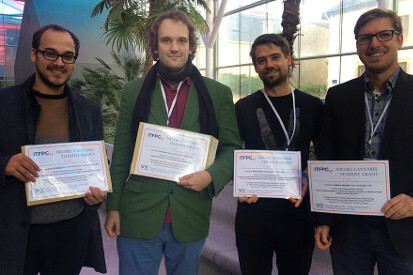 Jiří Kratochvíl (second from left) was awarded the "Michael Cantarel Student Grant" for his lecture at the ITFPC 2017 International Conference in Nancy, France. 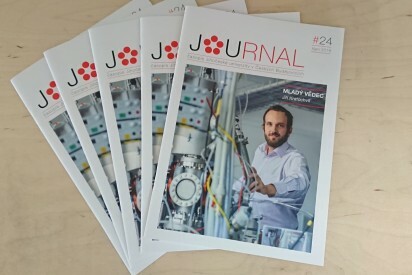 The laboratory is oriented on research and tailoring of low‑temperature plasma processes for deposition of nanostructured (bio)functional thin films. We perform investigation on the border of advanced material science, physics and biochemistry, which deals with the preparation of novel, nanostructured, functional surfaces with possible and preferential application in biotechnology. Nanostructured surfaces have gained enormous importance because altering of the single unit dimension in the range of 100 nm reveals new properties of the matter. Optimum size of these units determines particular property of the surface. The biggest benefit of nanostructured surfaces is attributed to their large effective area which can be further functionalized e.g. by graft‑rich groups which allow immobilization of bio‑molecules onto the surface. Hence, chemically or physically active surfaces, which enable reactions with surrounding media, can serve for sensors, bio‑cell separations, biochips and many other goals. Functional thin films in our laboratory are preferentially prepared by plasma vapour deposition (PVD) and plasma enhanced chemical vapour deposition (PECVD) methods. 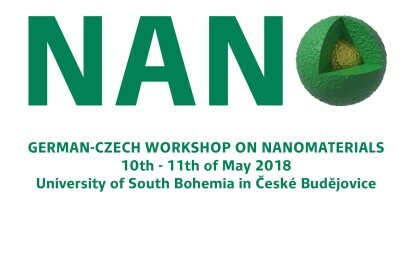 We are interested in tailoring of nanostructures for their possible applications. In this way, we deal with topological structures in nanometer dimensions up to homogeneous, dense coatings of micron(s) thickness. We are able to prepare metal, metal oxide, semiconductor, polymer films as well as isolated nanoparticles to develop new materials with high added value.